You won't have to look far to find dinner party recipes that involve our favourite Asparagus. Just about every asparagus recipe is good enough for a dinner party but some lend themselves to the occasion better than others. You just can't beat smoked salmon and asparagus as a combination . 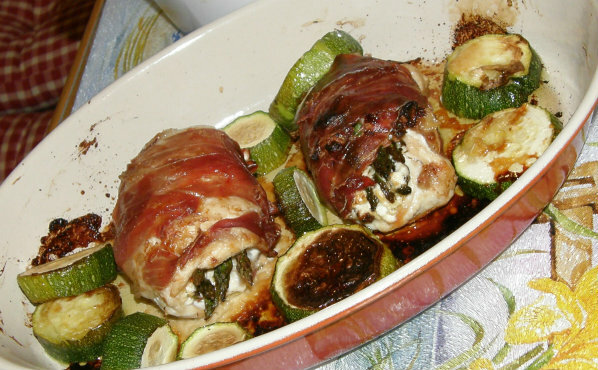 This is one of our all time favourite recipes not just our favourite dinner party recipe. Follow the recipe but don't worry so much about the presentation for a light lunch or evening in without company! Preheat the oven to 200 degrees C (180 degrees C for a fan oven). Lay the asparagus on a foil-lined baking sheet. Drizzle with olive oil rolling to lightly cover all sides. Sprinkle with rosemary, salt, and pepper. Roast until cooked and starting to brown around the edges (about 10 minutes). Remove from the oven and transfer to a plate to cool. Once the asparagus have cooled, cut long thin slices of smoked salmon and wrap each spear in the salmon as prettily as you can. Arrange on a serving dish and serve at room temperature. This doesn't really need anything with it but you might add lemon wedges. Transferred onto plates these golden cooked rolls really look and taste the business. We suggest serving with lightly cooked seasonal vegetables and new potatoes. 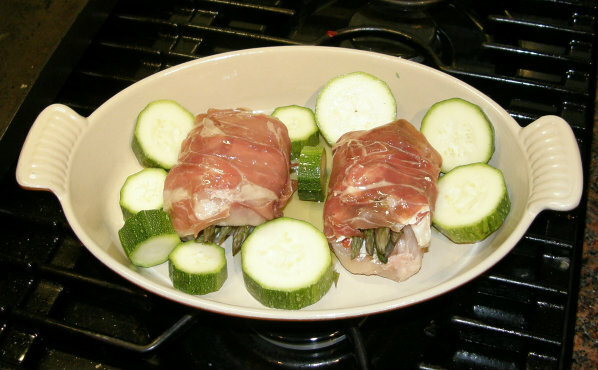 We popped some courgettes around the rolls to roast in the juices which worked a treat. Cut the chicken breasts so that open out as flat as possible, beat if necessary to make them flatter. Roll the chicken up with spears of asparagus inside the roll. 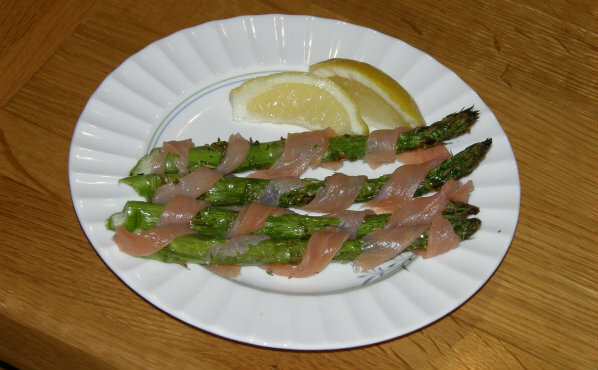 (cut the asparagus to a length that just leaves their heads and tails sticking out at the end of the roll but wrap up the end without a tip as well it will taste just as good). Finally wrap the whole roll in parma ham. When all the rolls are done put them on a baking tray and drizzle a little oil all over them. Store in the fridge until your guests arrive. Pop in the in the oven 30-40 minutes before you are ready to eat; so probably after you have served your guests a first pre dinner drink put them in the oven.